I had been snowboarding (difficult) and had hurt my knee about 3 weeks before my trip to Breck. 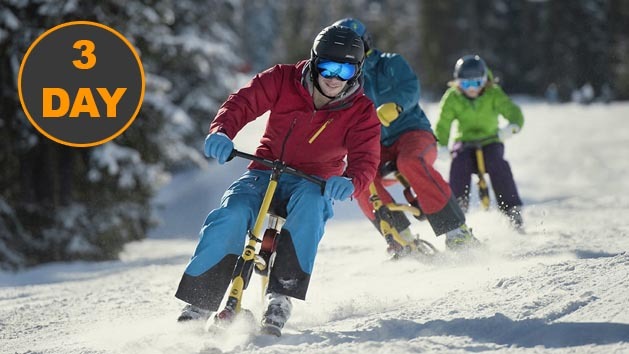 I searched for alternative activities and found snowbikes. SOOO glad I did. Lots of fun. Roger helped me learn (easy) and was very patient and encouraging. So, forget the snowboard, snowbikes rule!! Ski bike is easy and very fun. Great alternative for those who are not comfortable skiing on blues.